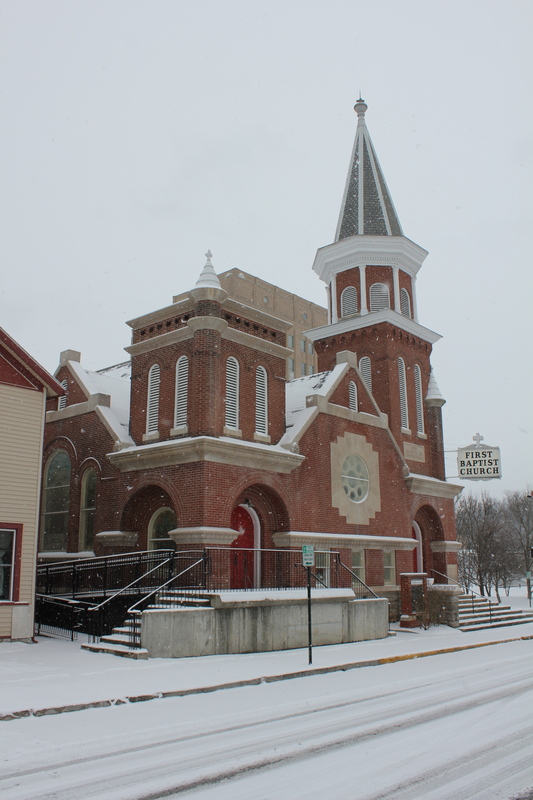 Winter at First Baptist Church, 2014. This past Sunday, September 21, 2014, the congregation that I am blessed to serve as their senior pastor, First Baptist Church in Frankfort, Kentucky, celebrated another Church Anniversary! 181 years. You read that right – One hundred eighty one years. Where I come from on the west coast, it is rare to find a church that is over 100 years of age. But here in Kentucky, it is almost commonplace to find congregations that celebrate over 100 years of existence and a rare handful celebrate over 200 years of existence. I’ve had the honor in recent years to preach yearly at the Historic Pleasant Green Baptist Church, the oldest Black Baptist Church west of the Allegheny River, which is some 233 years old. First Baptist Church is the result of a split from an integrated worship. Originally whites and blacks worshiped together and one Sunday the leadership of the First Baptist Church at the Singing Bridge decided to expel all of the negroes from their congregation. It was 1833. After doing some research, I found out that Kentucky’s use of slavery dates from the earliest permanent European settlements in the state. 25% of the residents of Kentucky were slaves up to the Civil War, and most of them resided in the Louisville area and the Bluegrass Region (from Louisville eastward) which was rich with tobacco, hemp and horse farms. In 1831, just two years before the founding of this church, the State Legislature passed new restrictions against owners freeing their slaves. When 1833 rolled around the Civil War had been in effect for two years. And the response of First Baptist Church was to divest themselves of people of color and hence, First Baptist Church was formed by freedmen and slaves. The newly formed Church faced adversities from not only residents but also from the elected officials of that day. At the conclusion of the Civll War, about 75% of the slaves in Kentucky were freed or escaped to Union lines during the war. Remember, First Baptist was organized in 1833 and slavery legally ended in Kentucky on December 18, 1865 when some 65,000 Kentuckians became legally emancipated. The present structure’s construction was a hot-button issue. The City Council of Frankfort refused to grant a permit to tear down the existing house and build a sanctuary. Matter of fact, the City issued arrest warrants for the Contractor and the Board of Trustees for continuing to build without the authority of the city. The matter wound up in court and the state courts issued a landmark opinion that the opposition to First Baptist Church’s construction was not based upon law, but upon prejudice. The church was allowed to continue construction and in 1908 walked into it’s resplendent sanctuary. As pointed out by Representative Derrick Graham, First Baptist Church has had a storied past and ties to the Frankfort community. During the Civil Rights era, First Baptist Church hosted and/or supported the work of Dr. Martin Luther King, Jr., Dr. Jesse Jackson, and others in the struggle for equality. It has been led by a plethora of church men – 17 from the early days to the current administration. My friend, Pastor Emmanuel Young, lent me a book – “1868-1968 Centennial Volume: General Association of Kentucky Baptists” and it identifies the impact that First Baptist Church has had denominationally. Several of my predecessors have gone on to serve as Moderators of the Association, Editors of the American Baptist Newspaper (of which I now serve as Chairman of the Board), State Mission Workers, and was one of the first congregations to join the Progressive National Baptist Convention, of which my immediate predecessor, Dr. K.L. Moore, Jr., served as Recording Secretary and Chair of New Pastors. It’s been a storied rise. But not without its share of heartaches and heartbreaks. No institution stands without some pain on the menu. There have been growth, fall outs, joys, sorrows, growing pains and membership fluctuation. 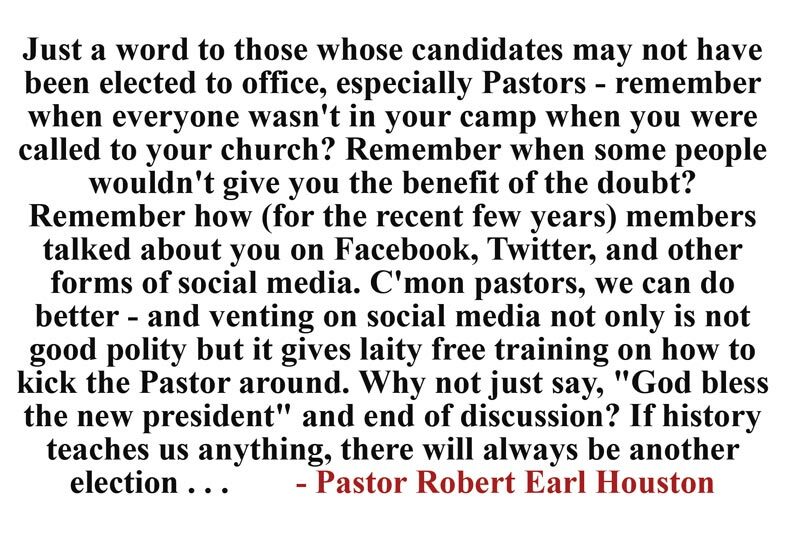 As I remind our church from time to time: Members come and go; Pastors come and go; But God’s Church still stands! Today, we stand 181 years only a few blocks from where our forefathers and foremothers were told that they were no longer welcome. Today the pastor and I from FBC Singing Bridge are friends, our members work with each other in the workplace and from time to time we worship together in different venues. Today there are several predominately African-American churches in our area of all denominations. Our sister church, the Historic St. John A.M.E. Church stands just a block away and we have a tremendous fellowship throughout the years. Green Hill Baptist Church, First Corinthian Baptist Church (which is the result of a split from First Baptist) and Macedonia Baptist Church in the Millville area, still stand today, serving alongside as we preach and teach the Gospel of Jesus Christ to this community. Not to mention newer congregations that have come on the scene. First Baptist Church still stands. Today we are a church that embraces both the past and the present while looking forward to the future. My vision for the church is the construction of an Educational Building that will house administrative offices, provide classrooms for generations to come, and will be topped with a gymnasium that will meet the needs of this community. I am believing God that this will come to pass. We love our stately sanctuary and facility and have poured resources into restoring the sanctuary, remodeling restrooms and kitchen, beautifying the fellowship hall, and installing modern fixtures. God is good! Today we are a church that embraces people. We believe in the redemption of people through the blood of Jesus Christ. We believe in the efficacy of God’s Word. We believe that Preaching and Teaching go hand-in-hand. We believe that worship should be worshipful. We believe that Christian Education is necessary. We believe that our job is not just to be keepers of the legacy but also to create some milestones along the way in this generation. Happy 181+ years First Baptist Church. Can’t wait to see what the future holds. I’m a history buff. As a child I spent hours watching Masterpiece Theatre at home (my mom was a school teacher) and learned English history. Particularly the Tudor years in England when King Henry VIII, and his children, Edward, daughter Mary (commonly called “Bloody Mary”) and Elizabeth, ruled the nation. This biggest controversy of that time was the role of the Catholic Church in England. During that period the Church was growing extensively richer while the nation and its people grew poorer. Also, because of the church’s strict teachings, divorce (which Henry knew well) was not allowed and he and the nation broke away from the Catholic Church and formed the Church of England, of which the King (or Queen) ruled as the supreme leader, taking all authority from the Catholic Church. In addition, a rising up of men, including Martin Luther (a German), had renounced the Catholic Church and thus began the Protestant (protest) movement. It was supposed to create a buffer between Catholicism and modern Christianity. But something has gone wrong. And it’s in this era. There is a strange movement that is taking us backwards instead of forward. It almost appears that some in the Body of Christ long for “the good old days” and want us to go back to doing things in a Catholic manner. For example, the sudden emphasis on hierarchal titles within the black baptist church. Growing up our ministers were called Pastors, Ministers and Liceniates. Now, there is a plethora of titles attached to those who serve as baptist and many of the names are coming from the world of Catholicism. Even how we address our mail and sign our names has changed. I will not, and I don’t feel comfortable, in signing my name as “The Right Reverend Robert Earl Houston” or “His Grace, The Right and Righetous Robert Earl Houston.” To me, it’s foolishness. It creates an air of supremacy that is neither warranted or deserved. Many years ago, my state president, Dr. O.B. Williams, taught me about signatures. He never signed any letter or document as “Dr. O.B. Williams” by hand. He always simply wrote: “O.B. Williams.” He told me the title is less important that your name. Your title doesn’t make your name and your name will be long remembered after your title is gone. Now we have Bishops, Arch-Bishops, Sufferagin Bishops, and many of these ancillary titles are drawn from the Catholic Church. It won’t be long before ring kissing becomes vogue. It won’t be long before denominational leaders will be in Popemobiles accessorized with a Sound System. It won’t be long before we start looking to leaders instead of looking to God for answers. I like the reformation that Jesus started. He got it right and He sets the tone for the church today. I believe many of us are sick of the Presidential entourages and titles that make no sense at all in our modern context. Cardinals are coming. As a Vicors and Metropolitans and Prelates – if we don’t shake ourselves out of this need for peer super authority and get back to our pulpits and communities and preach that Jesus is the Son of God and Savior of this world. WINCHESTER, KENTUCKY – The Rev. Henry E. Baker, a civil rights activist, pastor and former city commissioner for whom a new Clark County school was named, died Wednesday, Sept. 10. He was 92. Family and friends said he will be remembered as a humble leader who loved God and loved people. Baker began his service to the community in 1955 when he started pastoring at Broadway Baptist Church. He pastored the church for 38 years before retiring in 1993. During this time he raised eight children with his wife, the late Sarah Prentice Baker, and worked as an activist and public official to make historic changes in Clark County. Baker played a role in the integration of Winchester High School in 1956, and was also a member of the Winchester Advisory Council, where he worked with local officials to solve issues within the schools and the police department. Baker worked fervently to help members of the African American community find jobs and become first-time homeowners. In 1979, Baker became the first African American to serve in public office in Clark County, when he was elected as city commissioner. He served as commissioner and vice mayor from 1980 to 1984. Winchester Mayor Ed Burtner said he’s known Baker since 1981 when he was serving as commissioner and Burtner was hired as city manager. He said the fact that Baker served as vice mayor during one of his terms as commissioner was a testament to how the community felt about him. In 1990 he was nominated for the Smith-Wilson Award for Civil and Human Rights, and in 2000 was inducted into the inaugural class of Kentucky Human Rights Commission Civil Rights Hall of Fame. Baker, along with Roger Hurst, organized the Winchester-Clark County Christians United Against Drugs, and in 2007 he received the Martin Luther King Jr. Award. Baker’s son, William Baker, said his father will be remembered for his many accomplishments, but mostly for his dedication to being a servant of God. “He wanted his greatest contribution to be as a servant of God,” William said. William said his father’s work set an example for the African American community. Baker’s leadership and legacy were honored this year when the school for fifth- and sixth-grade students was named in his honor. The new Henry E. Baker Intermediate School was dedicated Aug. 3 with a ribbon-cutting ceremony. Baker was able to cut the ribbon himself and Baker Intermediate Principal Josh Mounts said it was an honor to have him participate in the ceremony. Mounts said he and Assistant Principal Susan Jacobs had the opportunity to meet Baker for the first time when they were invited into William’s home before the dedication of the school. Mounts said he feels confident Baker’s legacy will live on with the school. William said his father was thrilled with the school being named in his honor. Mounts said one of the things that stood out to him most about Baker was his love and dedication to his family. In addition to his eight children, Baker had 27 grandchildren, 47 great-grandchildren and four great-great-grandchildren. Mounts said Baker’s love for his neighbors will also be remembered. Burtner said he believes Baker will be remembered as a leader for the entire community. Funeral arrangements are being handled through Scobee Funeral Home, but were incomplete at press time. After months of campaigning across the nation in various conventions, the Presidential offices of the four major conventions has been filled after spirited campaigning. 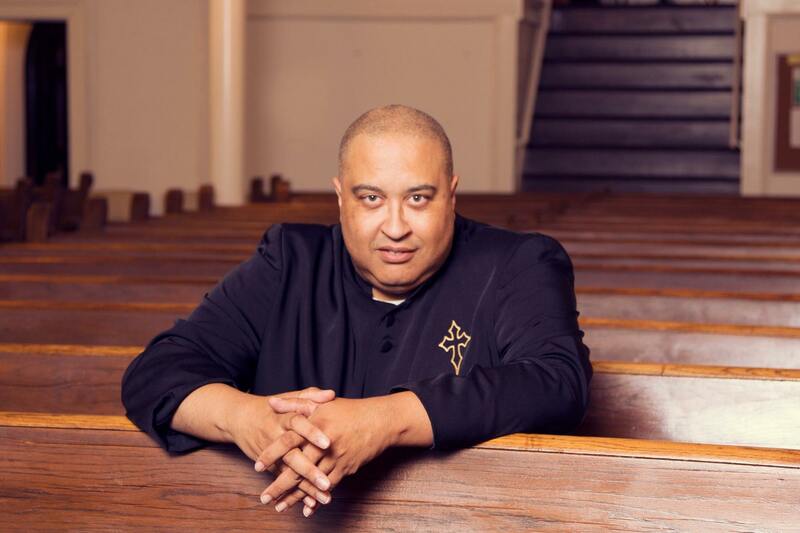 Dr. James C. Perkins, pastor of the Greater Christ Baptist Church of Detroit, Michigan was elected as the President of the Progressive National Baptist Convention, Inc. in their annual session in Fort Lauderdale, Florida. 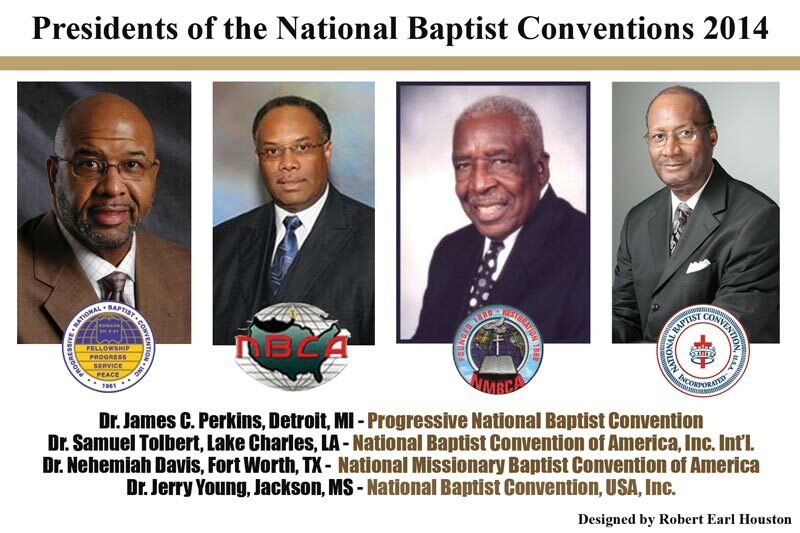 Dr. Perkins previously served as the First Vice President and succeeds Dr. Carroll A. Baltimore, Sr.
Dr. Samuel Tolbert, pastor of the Greater St. Mary Baptist Church of Lake Charles, Louisiana was elected as the President of the National Baptist Convention of America, Inc. International in their annual Family Fest session in Memphis, Tennessee. Dr. Tolbert previously served as General Secretary and succeeds Dr. Stephen John Thurston. Dr. Nehemiah Davis, pastor of the Mt. Pisgah Baptist Church of Fort Worth, Texas was re-elected as the President of the National Missionary Baptist Convention of America in their annual session in Houston, Texas. Dr. Jerry Young, pastor of the New Hope Baptist Church of Jackson, Mississippi was elected President of the National Baptist Convention, USA, Inc. in their annual session in New Orleans, Louisiana.